If you’ve been meaning to pull off a Monster Hunter Tri online party, you may want to accelerate your plans. Capcom will be shutting off the online servers today, leaving us with just the single player mode and the split-screen two-player Arena mode. Earlier in January, Capcom warned us of this, giving Monster Hunter Tri players six weeks after Monster Hunter 3 Ultimate’s release to say goodbye to their hunting buddies. It may be time to make arrangements to meet up in MH3U. 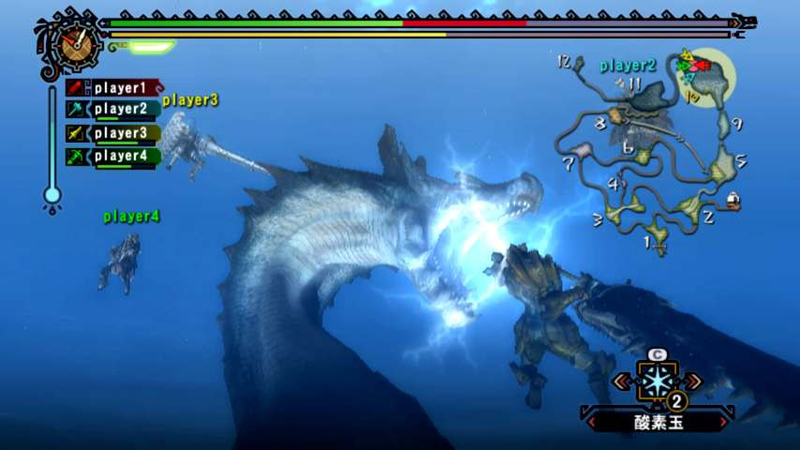 Monster Hunter Tri came out back in 2010 for the Wii. It was originally meant to be a PlayStation 3 title, but the high cost of developing for an HD console led Capcom to make it a Wii title instead. Tri marks the beginning of the third generation of the Monster Hunter series. It introduced underwater environments and underwater combat to the series. A couple of new weapon classes like the Switch Axe and the Medium Bowgun were also included while taking out a couple of others, all of which are brought back in later iterations, including MH3U. Outside of Japan, it became one of the few games that supported the Wii Speak peripheral for online voice chat- a first for the series. Many gamers no doubt have fond memories playing Monster Hunter Tri online over the years. Feel free to share some of your experiences in the comments below.